Councillor Liz Frost was officially recognised as the new Mayor of Epsom & Ewell for 2017-18 at the Council's annual Mayor Making ceremony at the Town Hall on Tuesday 16 May. Liz would like to use her mayoral year to publicise and promote the horse training and racing industry in the borough and to raise awareness and the importance of mental and physical health. Liz has been involved in the Woodcote Residents' Society Committee for many years, both as a member and Chairman. She was first elected to the borough council in 2011 for Woodcote ward. During her time as a borough councillor, Liz has served as Vice Chairman of the Social Committee and was also Chairman of the Health Liaison Panel. She has also served on the Strategy & Resources Committee, Environment Committee and the Epsom and Ewell Local Committee. Liz is also Chairman of the Epsom & Walton Downs Conservators and the Downs Consultative Committee and a member of the Training Grounds Committee. She is also on the management committee for the local Citizen's Advice Bureau and is Epsom & Ewell's mental health champion. She was proposed by Councillor Neil Dallen and seconded by Councillor Eber Kington. 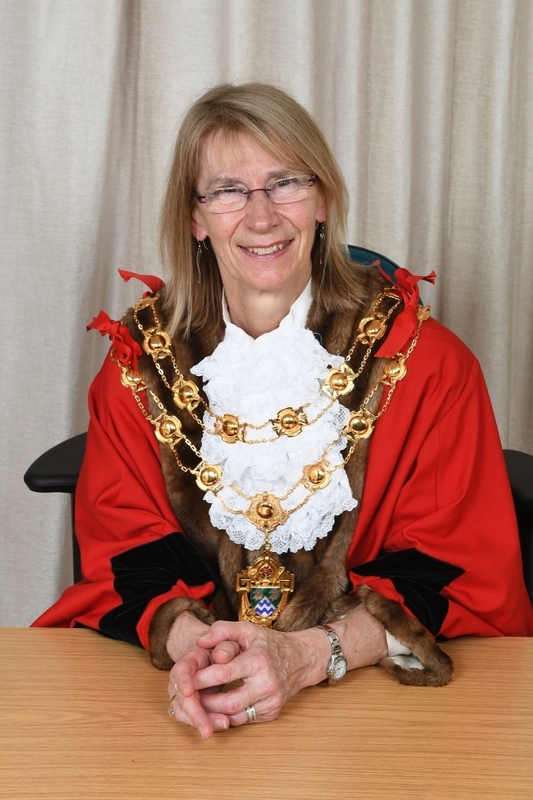 Speaking at the Annual Council meeting, Liz said, “I will carry out the role of Mayor to the best of my ability and hope that I can maintain the dignity and tradition of the role while supporting our local community. Although born near Manchester, Liz spent most of her childhood in Worcester Park. She studied ophthalmic optics at City University, where she met Chris. They married, she completed her training to become an optometrist and they moved to North Holmwood. In 1976, with a baby and a toddler, they moved and settled in Epsom. Liz worked part-time, fitting in around the children and gradually became involved in their daughter's school's parent/staff association. She also became a youth club and junior church leader at her church and she and Chris took up badminton. In 1995 she was appointed to a new post of optometric advisor to Merton, Sutton & Wandsworth Health Authority. In the same year she was elected as councillor for the Association of Optometrists (AOP) and was soon appointed to the Board where she served as AOP Chairman from 2001-2003. Following her election as a borough councillor in 2011 she decided not to stand for re-election to the AOP council. She still undertakes both part-time optometric advising and some clinical work as an optometrist. - Citizens Advice Epsom & Ewell - to support the excellent work they do to help local residents, particularly those who have housing or debt problems. - The Sunnybank Trust - A former resident of Sunnybank, Liz has great admiration for the founder of this charity that works tirelessly supporting and enabling those with learning disabilities. - The Lower Mole Countryside Trust - which supports the work of the Lower Mole Partnership to maintain and preserve our valuable open spaces, thus providing the environment to enhance our physical and mental health. Councillor Neil Dallen was elected as the Deputy Mayor. 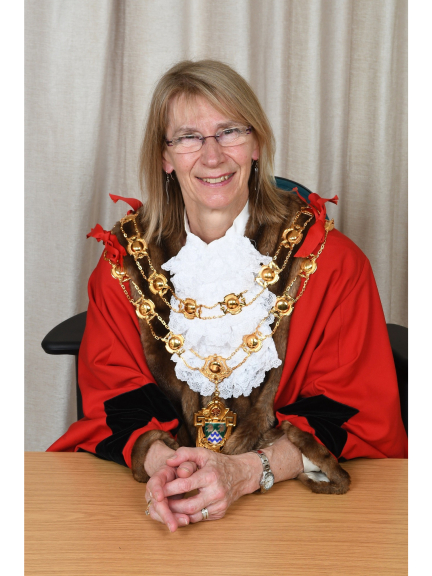 The Mayor is the first citizen of the Borough of Epsom & Ewell and has several specific roles during their one-year term of office. These include representing the Council and the local community at formal and ceremonial occasions, both within the Borough and elsewhere, and chairing full meetings of the Council.